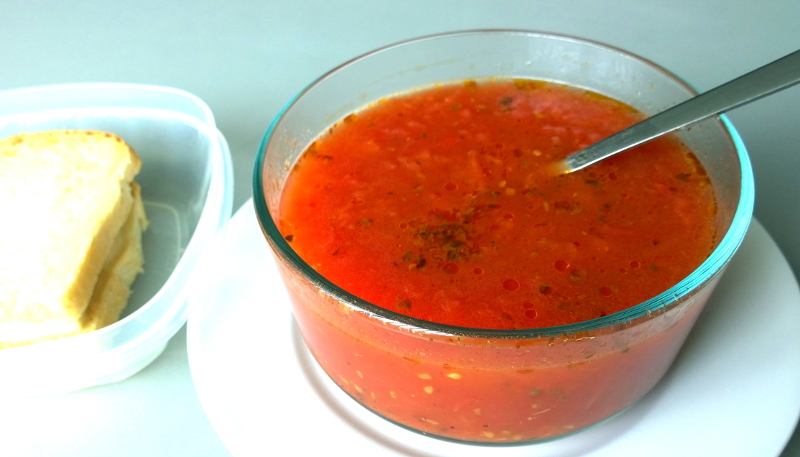 My grandmother used to make this hearty tomato soup when I was living in Romania. Even though I loved it, I never thought to ask how it was made. After years of dreaming about her tomato soup, I finally broke down and asked her for the recipe. What did it take? A video call with her, where she patiently walked me through the recipe. It’s actually quite a simple recipe; a reminder of the good ol’ days when dishes were made with a few, humble ingredients. This dish starts with a vegetable broth, in which you simmer tomatoes down to a pulp. Then, you add healthy dashes of olive oil, oregano, salt and pepper. You can use store-bought broth, or make your own with whatever vegetables you have on hand. Add water (enough to cover the tomatoes) to a large pot and bring to boil. Turn off and add the washed tomatoes, cover for about 8 minutes. You want to steep the tomatoes until you see the skin split. When they are ready, drain and let cool. 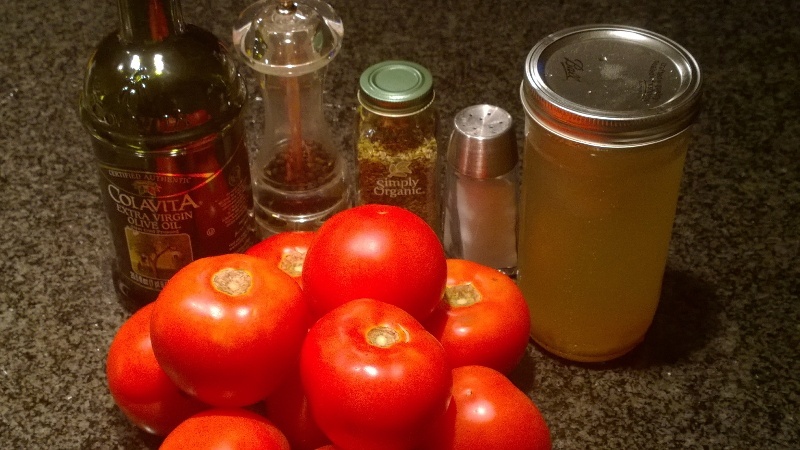 When the tomatoes are cool enough to handle, start heating up the veggie broth in a small pot. Remove the skin and core and hand-crush the tomatoes and place them back in the large pot and add the heated broth. Heat up the combined broth and chopped tomatoes. Remove from heat and let rest for five minutes. Add the olive oil, oregano, some salt and pepper and stir. Wait five minutes and adjust with the same ingredients to taste. I’m not one to follow recipes too closely, so I just add the spices until the taste matches the one from memory. I love having this soup with Emmental cheese and bread. Enjoy! Adrian has been with TuGo for four years. He loves travelling around the world and trying local foods. Thanks Catherine! I hope you do use this recipe. If you like, I can even bring some to work for you the next time I make it. Just let me know!